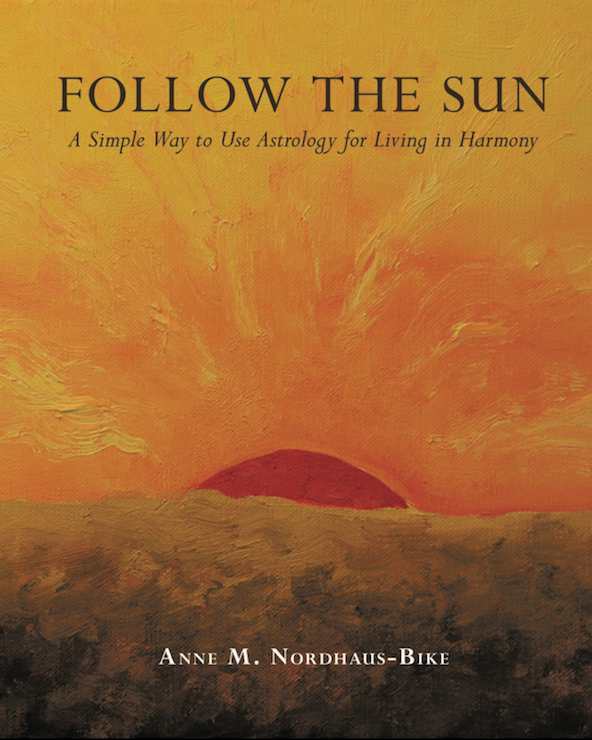 Award-winning astrology author Anne Nordhaus-Bike will have a Follow the Sun book launch party at Woman Made Gallery, 685 N. Milwaukee Ave. in Chicago, on Sunday, April 22, from 2 to 4 p.m. Admission is free. Hear Anne and fellow writer Charlene Wexler, author of Murder on Skid Row and Milk & Oranges, talk about their books. Get your copy of Follow the Sun, meet Anne, and get your book signed. After party at Delux Bar and Grill, 669 N. Milwaukee Ave., immediately following the book signing. For more information, call (312) 622-6029. Transportation: If you’re driving, you may find parking on Milwaukee Ave. or one of the side streets near the gallery, but if not, go south of the bridge at Erie and Milwaukee and there is pay and display parking on Milwaukee, on Grand, and on Halsted. Some of the side streets near the gallery have zone parking, but the zone doesn’t go into effect until 3 p.m. To take public transportation, get off at the subway station at Grand, Milwaukee, and Halsted. Can’t make the book signing? Follow the Sun is available from the publisher at a special discounted price of $36.95.